With thanks to Pat Cockayne for sending the scans. Click the images to see a larger version. 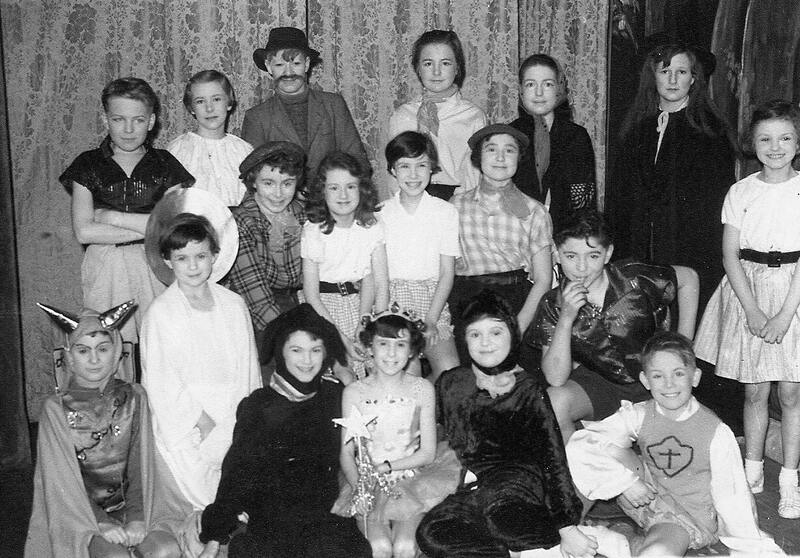 "The appearance of the photographs of the Sunday School pantomimes brought back some happy memories of appearing in the productions. 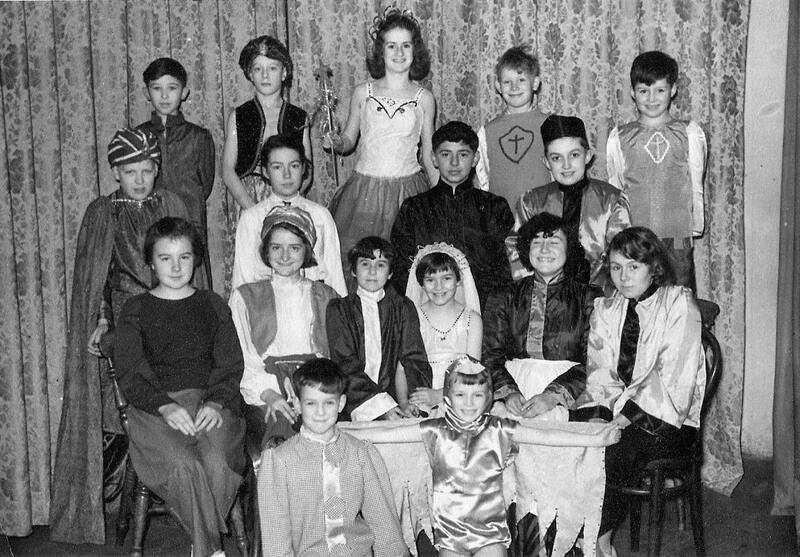 I remember the rehearsals were on a Saturday morning and more often than not I was missing due to playing soccer for the school, which did not always go down well with the producer Doreen Sharp (now Smith) who I believe is involved with Sutton Amateurs. The first photograph was Aladdin and the missing names on the back row are Phillip Akrigg and Alan Daniels, I believe the boy on the front row is Richard Barrett. The second photograph is Hansel & Gretel and again Richard Barrett is the unknown boy (update Feb 2012: Margarete Parker (nee Hellam) identified the unknown boy as Stuart Hellam not Richard Barrett). To obtain the boys name on the back row I will have to look at some old records."